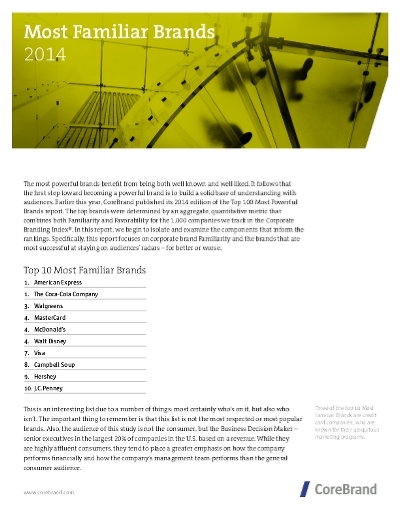 This ranking list is not a list of the most respected or most popular brands. The ranking focuses on corporate brands familiarity and on the brands that are most successful at staying on audiences' radars - for better of worse. The audience of this study is the business decision maker, senior executives in the larges 20% of companies in the U.S. based on a revenue.